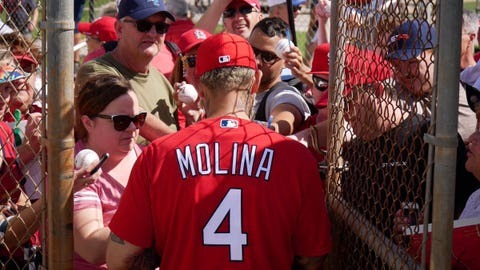 Yadier Molina's first spring action will be as a DH, and the Cardinals hope he can make his first appearance at catcher March 14 against the Mets. JUPITER, Fla. — The St. Louis Cardinals are targeting March 14 for Yadier Molina‘s first exhibition game appearance at catcher as the nine-time All-Star recovers from left knee surgery in December. 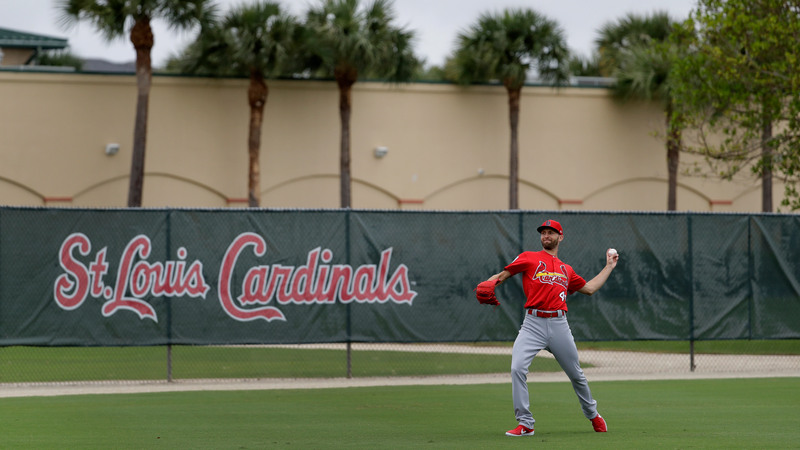 Molina, 36, started limited catching of bullpen sessions Wednesday and took batting practice. Molina will appear in games at first as a designated hitter, and manager Mike Shildt is hoping he can catch in that game against the New York Mets in two weeks. Molina is the only catcher on the Cardinals’ 40-man roster. Francisco Pena, last year’s primary backup, and Matt Wieters are at spring training with minor league contracts. “More than anything else, it was my first and only offer,” said the 32-year-old Wieters, whose deal was announced Wednesday. A four-time All-Star with Baltimore from 2009-16, Wieters spent the past two seasons with Washington. He hit .238 with eight homers and 30 RBIs last year, when he was sidelined March 31-April 12 with a strained left oblique muscle and May 10-July 9 with a strained left hamstring. Shildt expects Wieters to make his St. Louis debut behind the plate early next week. Molina averaged 133 games behind the plate over the past three seasons.